There are many websites, some quite popular, that serve as a recipe repository for cooks of all expertise levels, e.g. 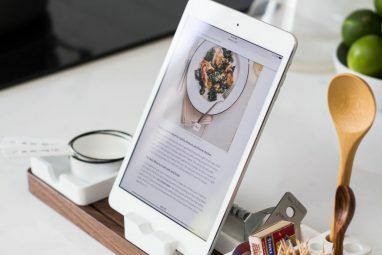 All Recipes, Epicurious The 7 Best Online Cooking Guides for the Beginner Cook The 7 Best Online Cooking Guides for the Beginner Cook You can learn how to be a great cook. These cooking guides for the beginner cook are few of the best places to start. Read More , Recipe Chimp, etc. There are even some fascinating recipes sites 5 Fascinating Recipe Sites to Brush Up Your Culinary Skills 5 Fascinating Recipe Sites to Brush Up Your Culinary Skills Read More that involve deconstructing restaurant recipes and churn out copycat versions that can be made at home. There are even a few recipe apps for Android phones The 4 Best Recipe Apps for Android Phones The 4 Best Recipe Apps for Android Phones One of the problems many families have today is that no one really has time to make dinner. It's hard to plan out the meals - so when dinner comes, it's hard to cook when... Read More that can surely help those that need a handy recipe viewer in their kitchen. 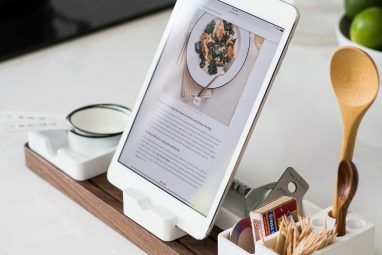 Plus, you can’t miss video recipes 8 Cooking Websites With Video Recipes for Tasty Visual Tips 8 Cooking Websites With Video Recipes for Tasty Visual Tips Read More from YouTube and a variety of other sites. As you can see, recipe sites and services abound on the net, but it’s always interesting to find ones that, er, bring something new to the table, like combine recipes with art. Recipes and artwork? How can those two even be related? Related or not, there is a website that has linked just these two things in a beautiful way. The resulting effect is probably going to make you feel incredibly inspired to either cook, start practicing sketching/design work or both! When you first visit the site, you’ll notice it has an almost kid-friendly and colorful interface. That shouldn’t deter you from admiring all the great artwork that has been grouped in collections by theme on the front page. Here in the next screenshot, you can see the Springtime Yumminess collection, which includes Easter recipes. 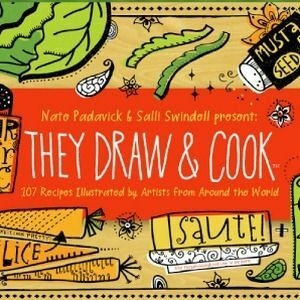 For each illustration, you can see the ingredient list and the steps to prepare the recipe, along with artwork author information such as their personal portfolio site as well as location. If your artwork gets featured in one of the collections, it’s surely a great way for your art to be noticed, and share your recipe to enter a sponsored recipe contest. Of course, the focus of this website is also on the recipes, so besides drooling over the illustrative style of the pieces, you can also try a new recipe, browse from its collection of over 2,000 illustrated recipes or search for new ones. Besides a recipe search feature, the site also allows you to get random appetizer, main course and dessert recipes with its dial-a-dinner that’s vegetarian-friendly. If you start visiting the They Draw & Cook site, illustrated food might become your new obsession. The appealing and mouth-watering aspect of food increases exponentially when you see it illustrated. It does for me at least since I’m in love with this type of art, as you can tell from my roundup of open-source generated logos and portraits and illustrated Halloween wallpapers. 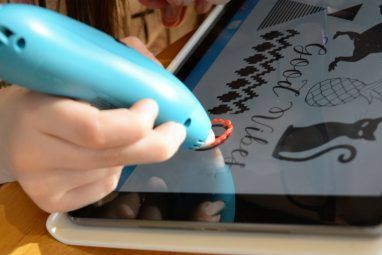 If you’re interested in sharpening your digital artist skills, be sure to check out these online sources 5 Online Sources For Digital Art Tutorials 5 Online Sources For Digital Art Tutorials Every so often, I believe that everyone has some sort of creative urge. Whether it turns into a beautiful painting on canvas or simple bathroom graffiti, it's all driven by the same fire. Fortunately, with... Read More for tutorials so you can be on your way to perhaps creating GIMP Paint Studio: A Great Addition To Make GIMP A Digital Artist's Playground GIMP Paint Studio: A Great Addition To Make GIMP A Digital Artist's Playground Read More one of these pieces for They Draw & Cook. As if They Draw & Cook weren’t a cool way to merge recipes and digital artwork already, we also have reviewed some recipes that combine traditional dishes, such as cakes and cookies, with geeky or tech elements, such as Tetris and Angry Birds. Have you got another cool recipe site in mind? Share it with us in the comments section below. Explore more about: Cooking, Digital Art, Drawing Software.